The Chef of this dish advised that this is a vegetarian dish high in protein and hearty in taste that nobody would even miss the meat. The dish looks and tastes so meaty and could be mistaken for a meat dish. 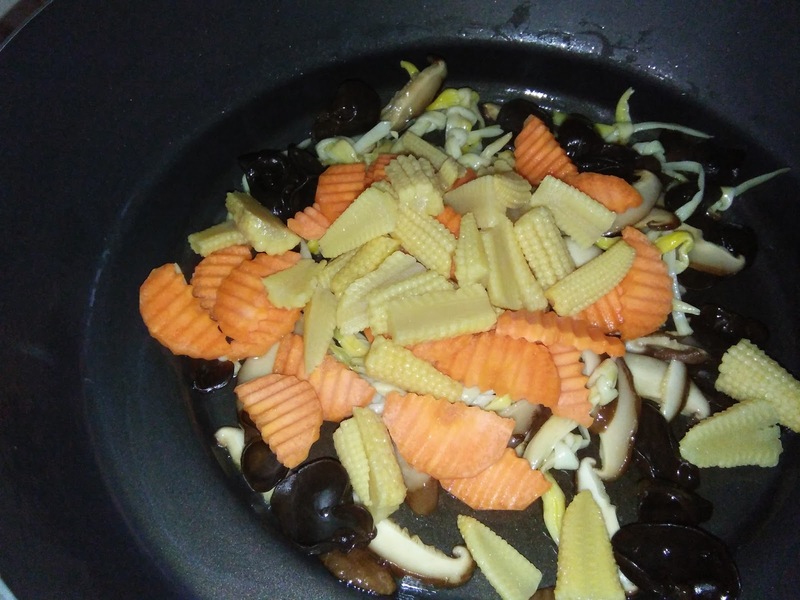 As the name implies, there are at least 8 main ingredients in this dish that can be served with rice or porridge or even eaten as a noodle dish. 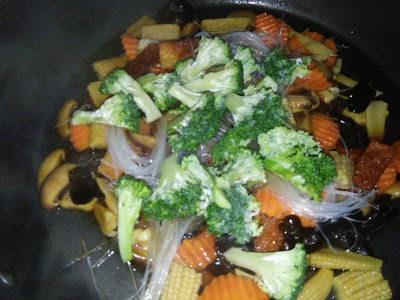 You can try different combination of ingredients according to your preference but always cook the vegetables that the longest first before adding other vegetables like snow peas, dried glutton, Enoki mushrooms etc. 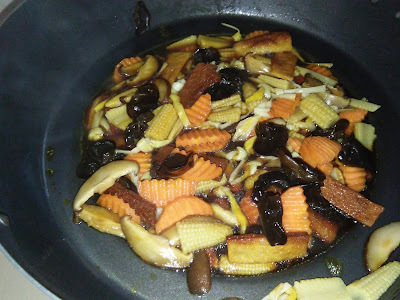 and stirring after each addition. 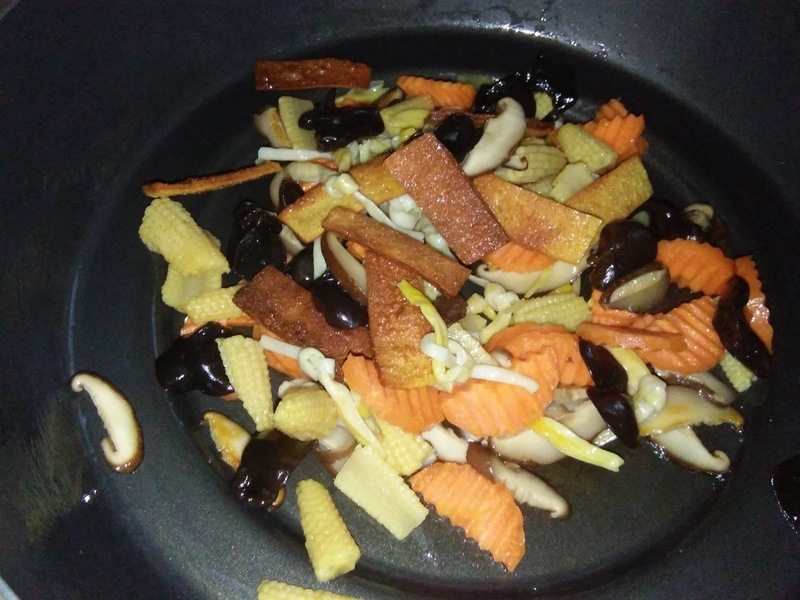 This dish is very tasty with the some sugar add that brings out the overall flavour of the other ingredients. 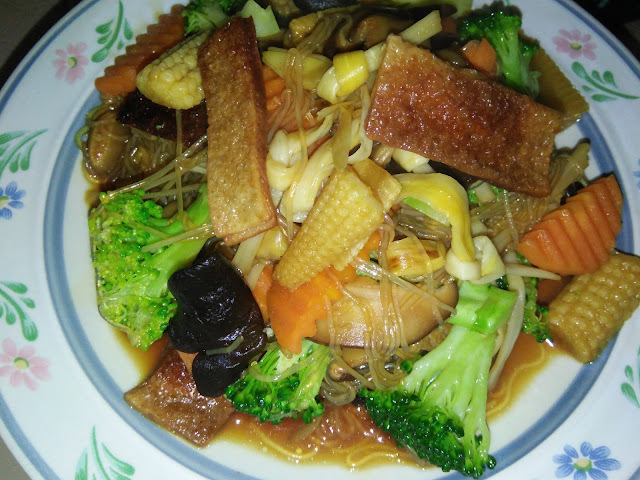 Lovely dish. 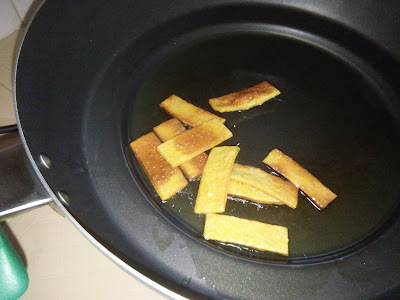 Heat oil in a non-stick wok, pan fry beancurd stick until golden and crispy. Dish up. 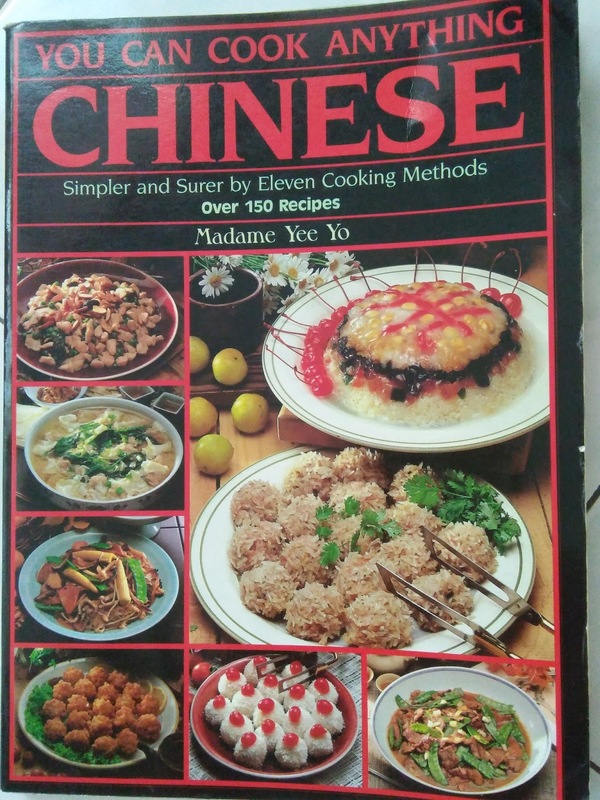 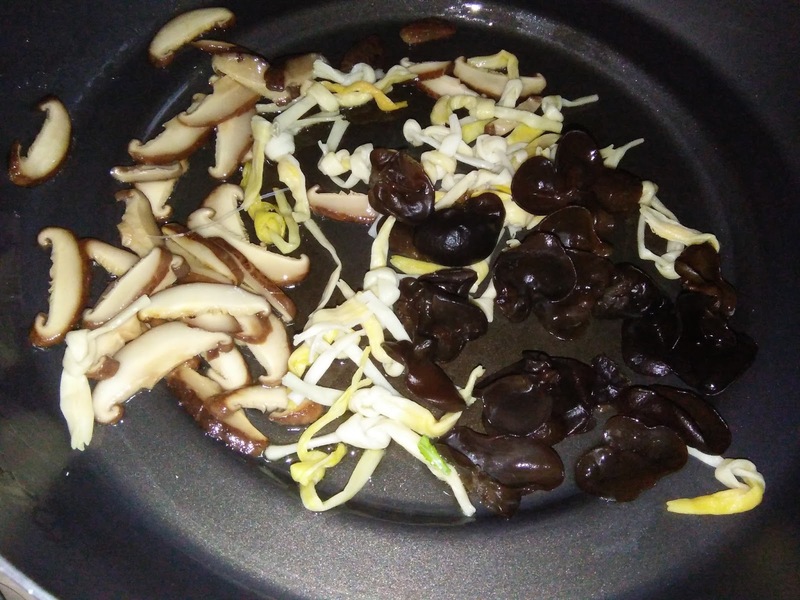 Using the same wok, fry mushrooms, black fungus and lilybuds for ½ a minute. Add the remaining ingredients according to the order listed and stir frying after each addition. 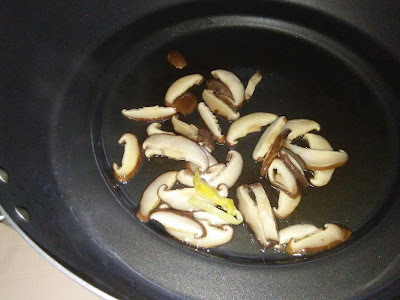 Pour in seasoning and bring liquid to a boil before adding the noodles. Stir to mix well for 1-2 minutes until ingredients are cooked through. 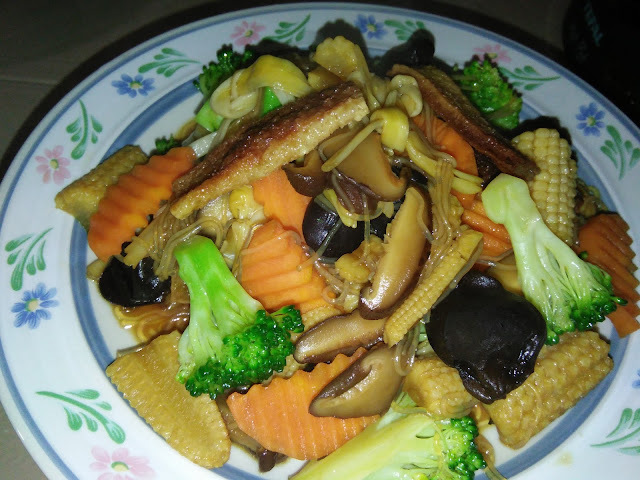 Dish up to serve hot or cold. 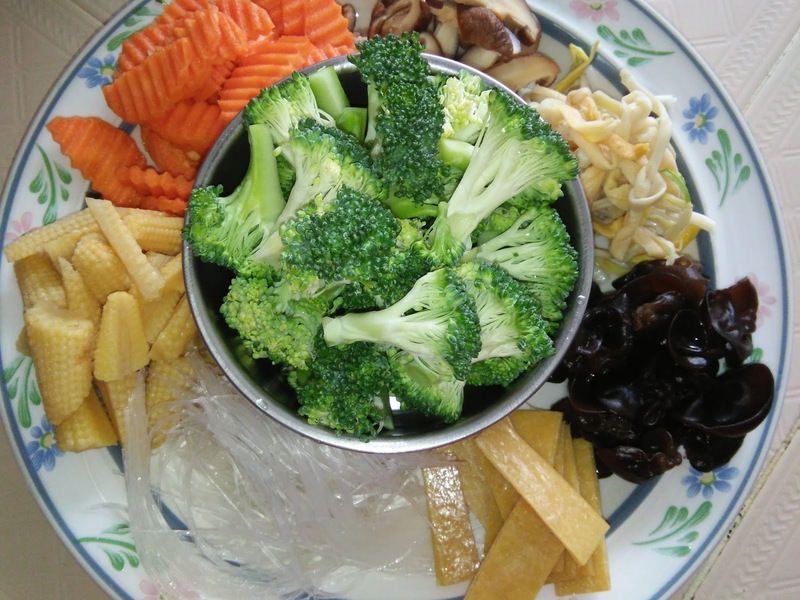 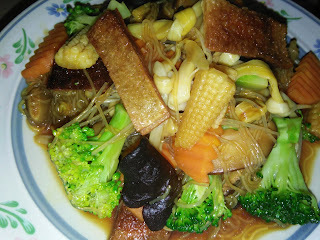 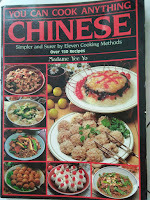 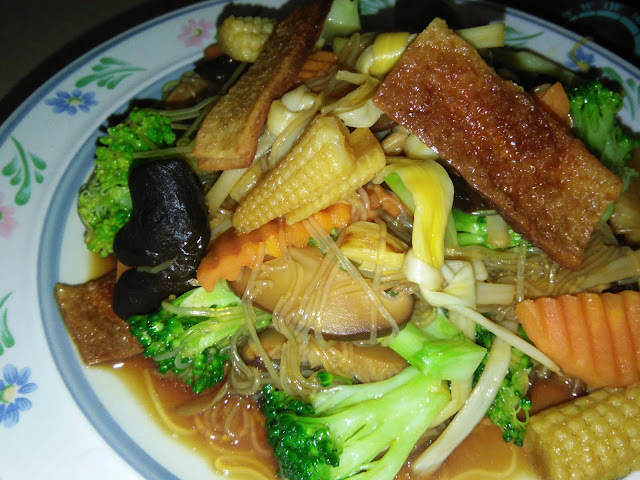 Hi Emily, this is a good Chinese vegetable and noodle dish. 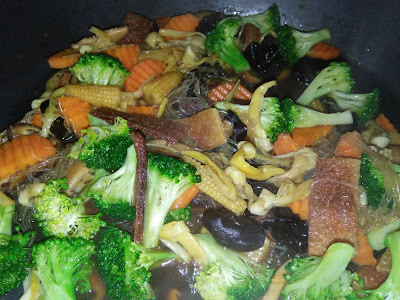 Tastes good and it's healthy.